In January Spirit of Martyrdom partnered with Grace Bible Fellowship Church in Brentwood, CA to host a Discussion Discipleship Workshop. We spent 14-hours over a weekend learning how to discover and apply the deep truths hidden in God’s word. It was a great privilege to have the pastoral team of the church involved in the training as well as helping to lead the workshop. They led by example for their congregation to follow after them. 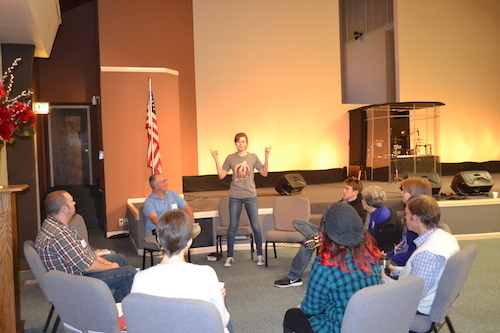 We had over 30 attendees and many of them were youth. This church is very in love with God and His word and they were so blessed to go through the Discussion Discipleship Method. Grace Bible Fellowship now rejoices in having a new and effective tool to study the word of God deeply and grow in Him. During the workshop we taught the people how to have discussions with God and others through the stories written in the Word by asking inductive-conversational questions about God and the people found in the stories. The answers to these questions teach us spiritual insights about God and those in the stories, which we then can apply to our own lives today. 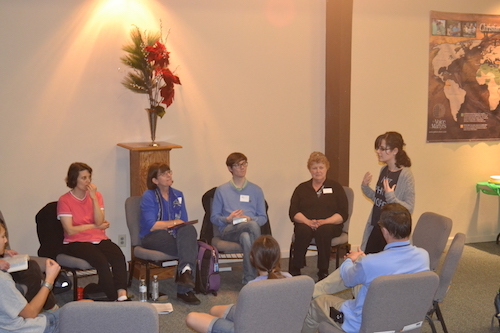 At the end of the workshop, the saints in Brentwood shared how they will use the Discussion Discipleship Method in youth Bible studies, in their personal relationships with God, and with their family devotions. The leadership and the congregation at Grace Bible Fellowship Church and their fulfillment of the Great Commission. The participants to continue to grow in using the method and become deep disciples for Jesus. Specifically for the youth at Grace Bible Fellowship to grow deeply in the things of God and to have spiritual impact on the future of Brentwood. SOM to continue impacting God’s church through our Evangelism & Discipleship workshops. For God’s Word to be exalted in a generation full of wickedness. Let the Word of Christ dwell in you richly!